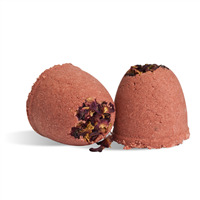 These fun bath fizzies are each unique and different. The Lathanol Powder adds colorful bubbles as the fizzy spins around in the warm water. You Save $24.95 by purchasing this kit rather than buying the items separately. 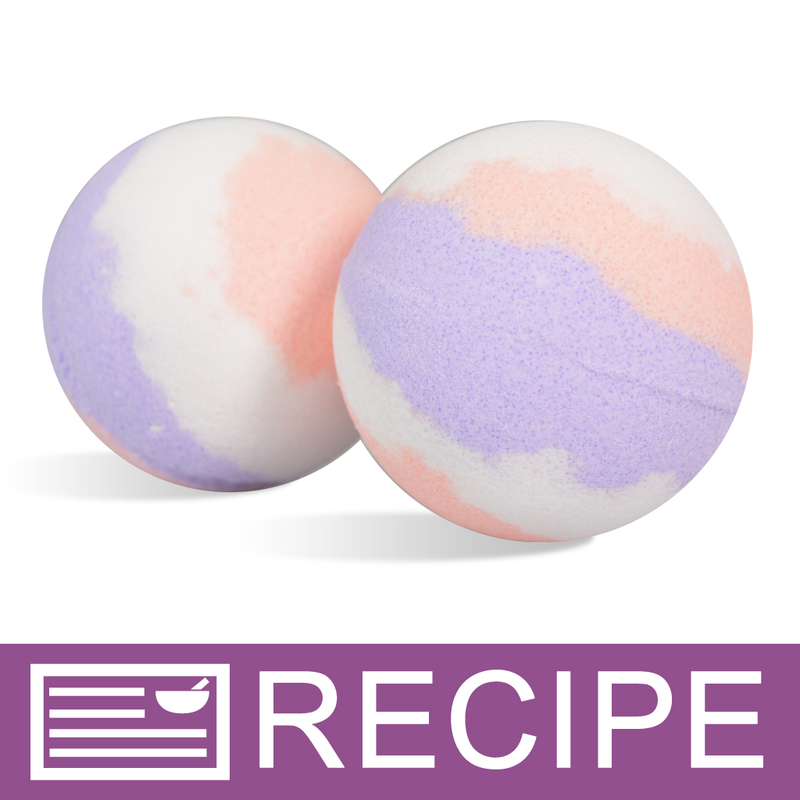 View the Lavender & Peach Tri-Color Bath Fizzies Recipe for detailed instructions. 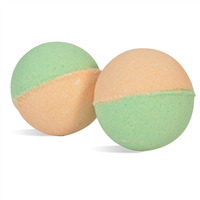 COMMENTS: This was my first bath fizzies kit and it was amazing!! It was so simple to read and follow the directions and make these amazing smelling bath additions! I have placed an order for 2 more kits. If you are looking for an easy beginner set this is definitely the one you need! COMMENTS: This kit was my first attempt at making bath bombs. I love how simple the recipe is. 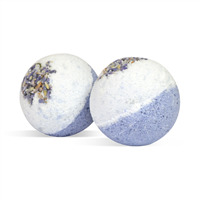 I watched a few videos on how to make bath bombs before attempting to make these. The plastic molds worked nicely. 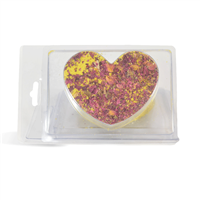 Though I have purchased stainless steel molds since using this kit, I continue to use the plastic molds to dry my bath bombs that I mold using the stainless steel molds. After using this kit, I felt confident to start adding a couple more skin nourishing ingredients and tweaked the recipe. The fragrance was true to Lavender and Peaches. I was very happy with the outcome of my first attempt at making bath bomb using this kit. • Nothing. I think it's great as is. COMMENTS: Since it was my first time making bath fizzies, I made sure to watch the video first, then read through the instructions before beginning. The kit leaves you with a lot of left over baking soda, citric acid, and fragrance. The fragrance you can use for another project, but you won't have enough powders to make a second batch.. I think it would be best to use 1 unit of measure throughout the instructions. The kit sent 2 oz of SLSa powder, the list of ingredients said to have 1 oz, but the directions say to measure 4 TBS. I didn't have a TB measure to use so I ended up Googling that 4 TBS = 2 (fluid) oz and used the entire package of SLSa from the kit. When I did find a TB measure, I realized that 4 TB is approximately 1 oz as listed in the ingredient list. Because of this confusion, I naturally ended up with more than 7 bath fizzies. Even if I didn't mess up on the amount of SLSa powder, I wouldn't have the right measurements to make a second batch.. I think I would have had more fun if everything was just dump and go, or at least be able to use up the left over ingredients. I am willing to try again since I have SLSa from a separate project.. COMMENTS: I made these for my grandchildren's bath time and they absolutely love them. They have fun playing with the bubbles that come off of them and love that they spin when floating in the water. I LOVE the smell of them so much that I ordered another set. I think this is a great product. COMMENTS: Fragrance was not as potent as I would like. COMMENTS: I like that everything comes in this kit and this one does not contain the butters and oils. 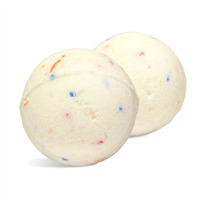 I am not a novice bath bomb maker and this kit is relatively easy. I did purchase the hand scooper to make smaller bath fizzes. The fragrance is strong but pleasant but it is easy to switch fragrances if you are not a fan of the one in the kit. Overall, a great product. COMMENTS: The bath fizzies made with this kit, have been my top sellers so far. The fragrance oil is wonderful and I used it in other bombs. The ingredients helped me make rock hard bombs. I loved it.